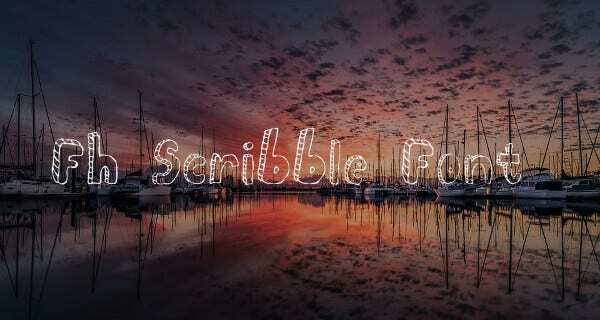 Scribble fonts or doodle fonts are realistic hurried handwriting fonts. These fonts sometimes have an untidy appearance and hence, they are also called as messy fonts. These look as if created using bare hands- without applying any technology. Such fonts add a more personal and handcrafted feel to the design or content they are used in. People tend to appreciate the special effort taken on their behalf. 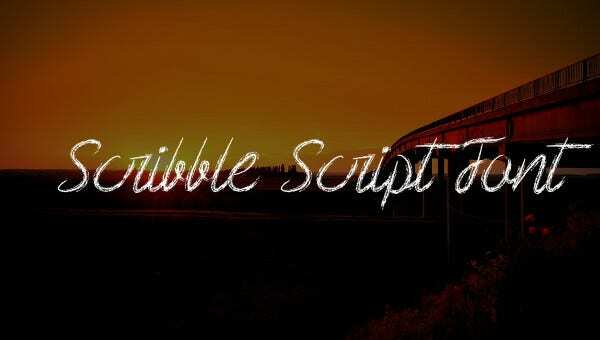 Here is an awesome collection of Scribble Fonts for you. This scribble font has upper cases, numbers, and some symbols. It is available for $9. 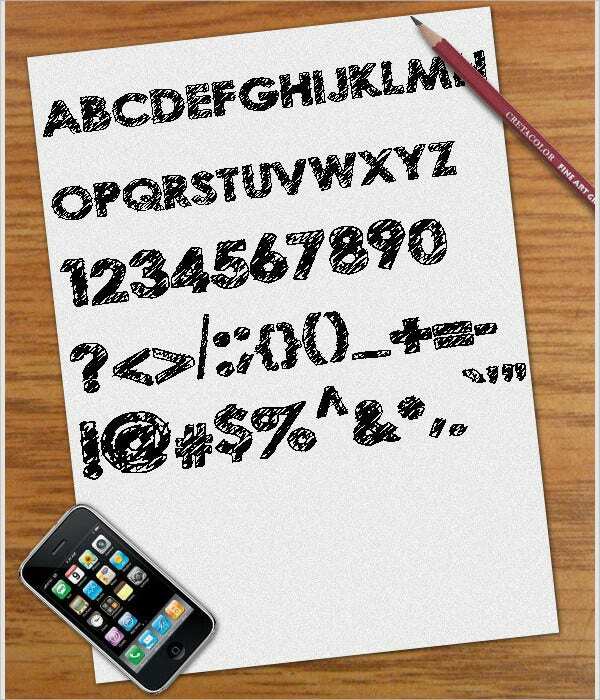 It can be used as blackboard text, handwriting, Grunge Fonts, and other creative works. 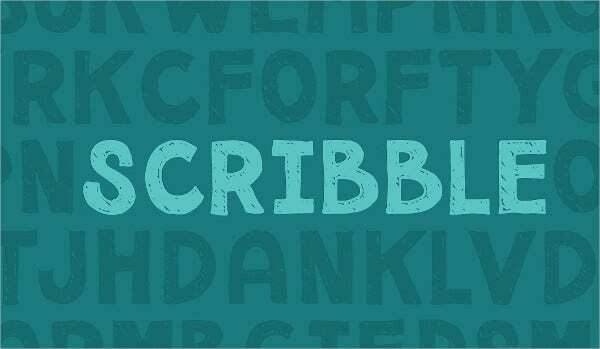 Priced at $3, the Forfty scribble mini font has its characters filled with fun scribble effect. It includes upper cases, lower cases, and glyphs. It comes both in TTF and OTF format. 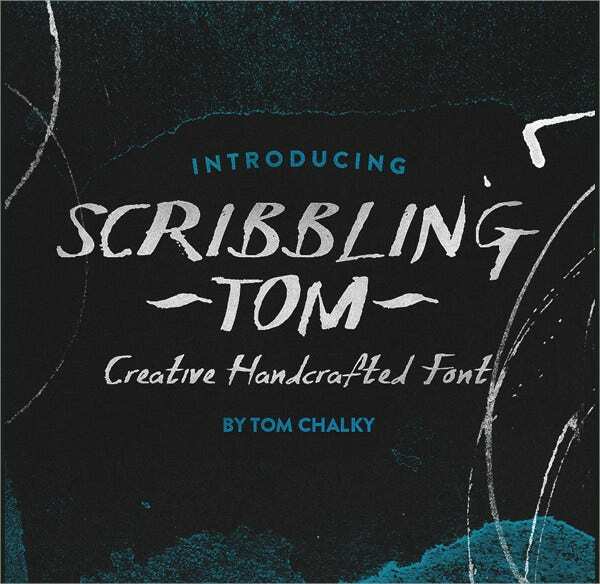 Available for $10, Scribbling Tom is a scratchy and creative Hand Written Font. 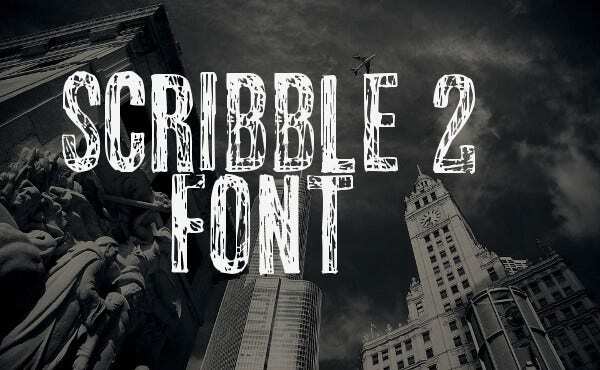 This effective attention gaining font perfectly suits gothic and horror design themes. This hand drawn blocky font characters are outlined and filled with crossed lines. It includes upper cases, lower cases, and alternates. Available for free download, this font’s usage is restricted to personal use alone. 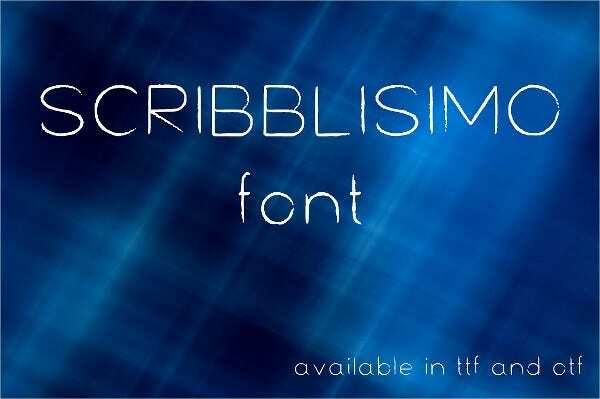 Priced at $5, Scribblisimo font comes in both OTF and TTF formats. This thin linear typeface includes upper cases, numbers, lower cases, symbols, and punctuations. Its commercial usage is allowed. 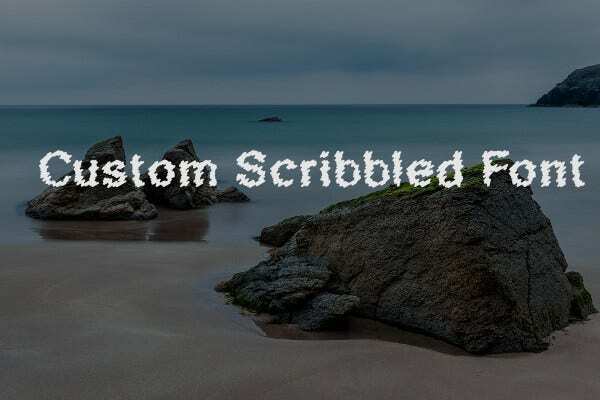 This is a popular scribble font with a messy appearance. Some great musicians have used it for promoting their brand. It is available for free download. 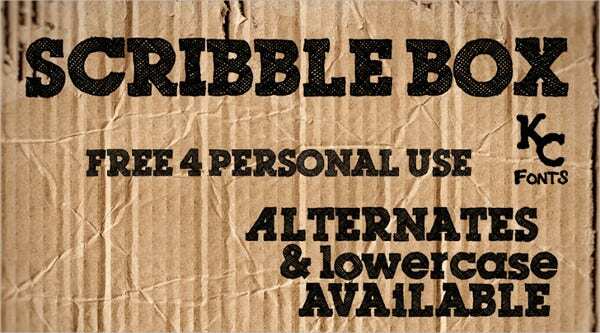 The hand drawn characters of this font are messily outlined and filled with crossed lines. This is a freely downloadable font available for any kind of use. This includes symbols, shapes, upper cases, and lower cases. 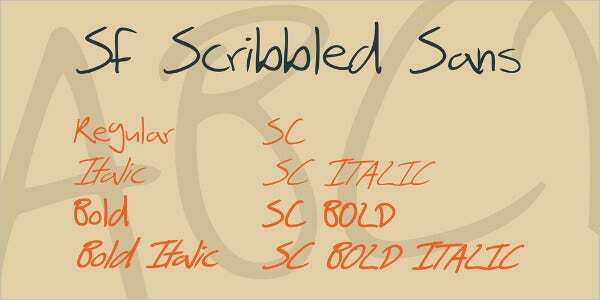 This hand written typeface includes upper cases, lower cases, accented characters, punctuations, and numbers. This freeware is available both in OTF and TTF formats. Commercial use of this font requires a license. 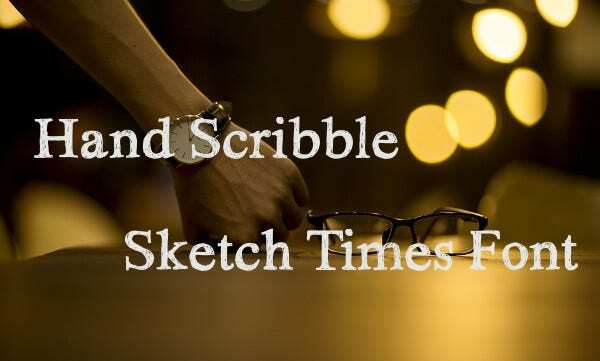 The Hand Scribble Sketch Times Font is a roughly sketched rugged font. It comes for free download for personal use. It includes upper cases, lower cases, numbers, and punctuations. 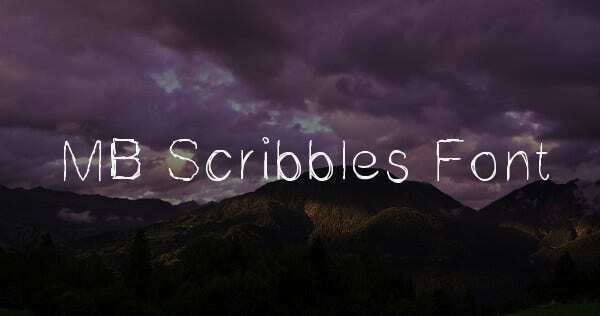 Available for free for personal use, Fh Scribble font has a stand-out effect. It is a complete font set which includes upper cases, lower cases, symbols, numbers, and alternates. The Brooke Shappell Font is available for free download for non-commercial usage. 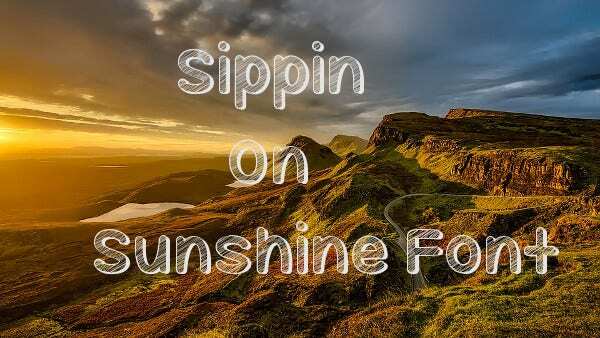 This is a fresh, flowing, legible, and rounded hand written font. It suits scrapbooking, girly, and educational contents. The Scribble 2 Font has a rough sketchy appearance. This is a freeware available for personal use. It includes capital letters, small caps, numbers, symbols, and alternates. 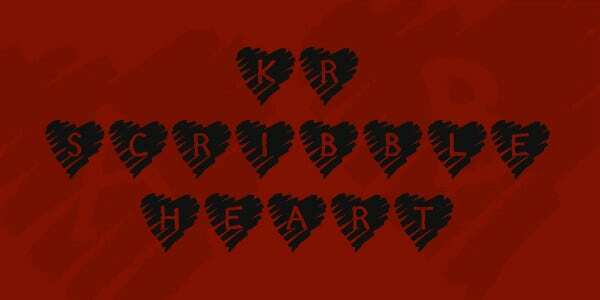 The KR Scribble Heart Font is a freeware available for personal use. This cool decorative font has each of its characters scratched on a sketched heart. It is ideal for greeting cards. This is a colorful cursive handwriting crayon font based on Young & Beautiful. It is freely available for personal use. For commercial usage, a Paypal donation is required. 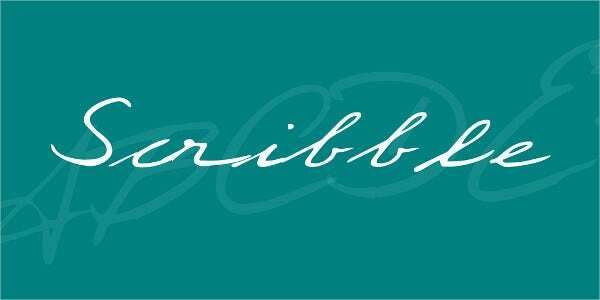 Our collection of scribble fonts can be used for content and designs that need a personal touch. These would therefore ideally suit Greeting Cards, wedding invitations, scrapbooking, birthday cards, and more. Among our scribble font collection is also a jagged font, a funny font, a decorative font and so on. Make use of these in your upcoming projects!